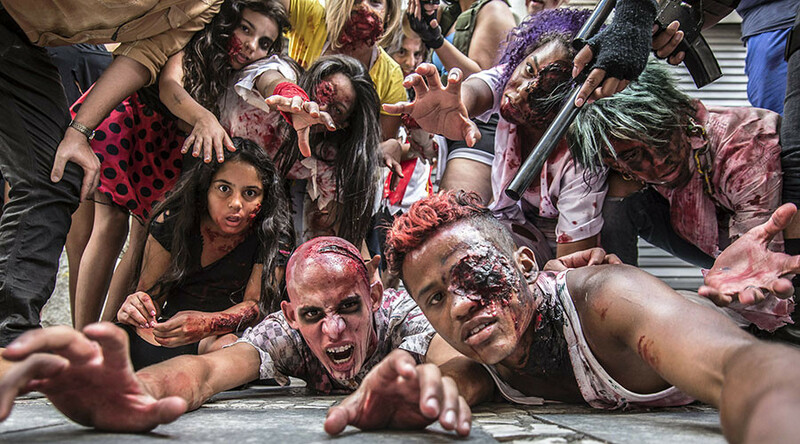 "I am told that if you are prepared for zombies, then you would be prepared to deal with a natural disaster like tornadoes, blizzards — natural disasters of any kind," Representative Emanuel ‘Chris’ Welch said, according to the Chicago Tribune. While introduced in a lighthearted manner, the discussion quickly became focused on real life practicalities that Illinois citizens would need to consider in the event of a potential natural disaster such as having a secure stockpile of medical supplies, food, and water for at least 72 hours on hand as well as a safe shelter in which to take refuge. That is not to say there weren’t some deeper questions raised about the nature of the threat posed by zombies to ordinary citizens. Rep. Steven Andersson asked what model should be used in case of a zombie apocalypse: the ferocious and nimble zombies of World War Z or their much slower, swarming counterparts depicted in the Walking Dead. Before the debate became too philosophical, however, one representative brought the discussion crashing back to reality: "This may sound like fun, but if you're really concerned about disaster, the natural disaster that's happening in Illinois is all economic," Rep. Jeanne Ives (R-Wheaton) said.